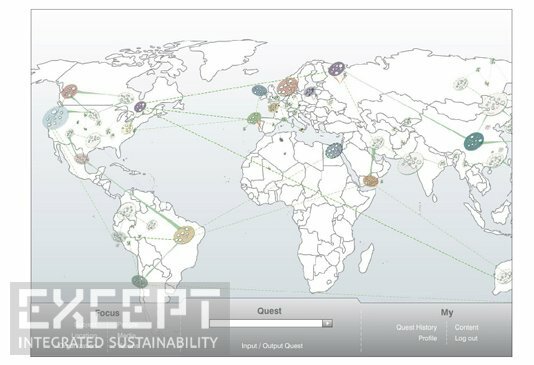 We can see a future where societies and economies flourish, drawing strength from their locally abundant resources. In the deserts, energy flows freely from the sun. On seashores and mountain ridges, wind towers harvest power for neighboring communities. Precious metals are recovered from wastewater streams by bacteria. Carefully designed ecosystems produce abundant and diverse supplies of food year-round. This multitude of resources already surrounds us. The question remains: how can we transition from our current extractive economies to locally refueling economies of abundance? This project presents a step on the path to answering that question. Welcome to the Dandelion Project. 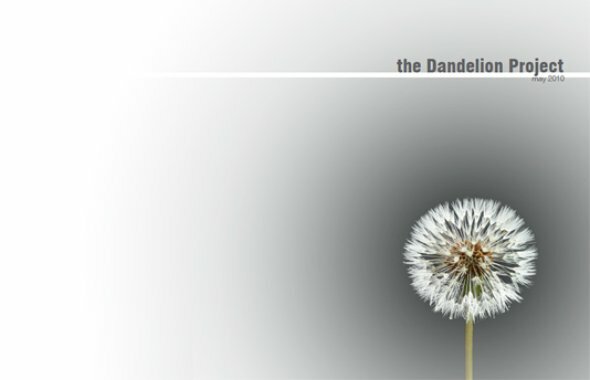 Dandelion is a new concept for an interactive online tool that could catalyze the movement towards a more sustainable society and an economy of abundance. The tool combines elements of a search engine, an online encyclopedia, a user-driven content generator, as well as a social networking device. 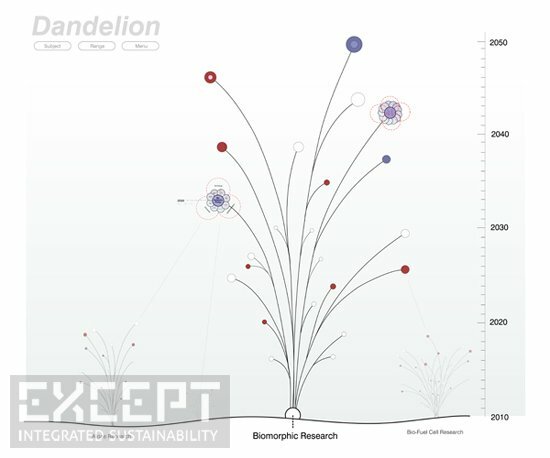 As a visual Wikipedia, Dandelion allows users to navigate through a spatially-displayed network of information that makes intelligent connections based on keywords, usage patterns, and social networks, and enables higher rates of innovation globally. It also provides opportunities for interaction between different communities and social volumes through its spatially-embedded discussion groups and blogs. Perhaps most interestingly, it is also designed to connect specific problems or needs with potential solutions in response to direct queries. 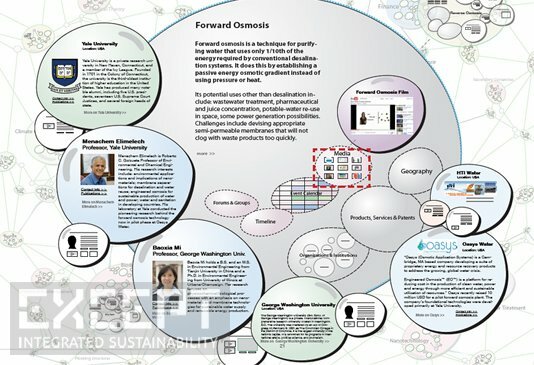 The ultimate goal of this mode of informational display is to rapidly uncover new connections between concepts and people, and to highlight the common paths we are traveling in our efforts to innovate towards a sustainable future. It is now commonly acknowledged that it is not a lack of technological capacity that prevents us from moving towards a more sustainable version of our society. Rather, it is the lack of organizational capacity, coordination, and build-up of critical societal mass. The complexity and enormous volume of information our society generates makes it difficult to intelligently filter data for relevance and value without an enormous time investment. Governments, researchers, and companies often end up duplicating one another’s efforts, or not benefiting from partnerships and interdisciplinary connections that they could not see. Relatedly, policy makers and investors often have difficulty seeing the larger trends in problem developments or technological innovation because the informational landscape is so vast and scattered. By visualizing and intelligently organizing information, Dandelion is designed to directly address some of these problems, using a very simple interface. Trace technological modules and human paths between material inputs (e.g., salt water) and desired outputs (e.g. fresh water). Dandelion is currently in early production phase, seeking collaborators to enable accelerated development. Interested? Contact us. In partnership with STORRM CS Except created this concept for a new information management system for the Dutch ministery of Housing, Spatial Ordinance and the Environment (VROM).